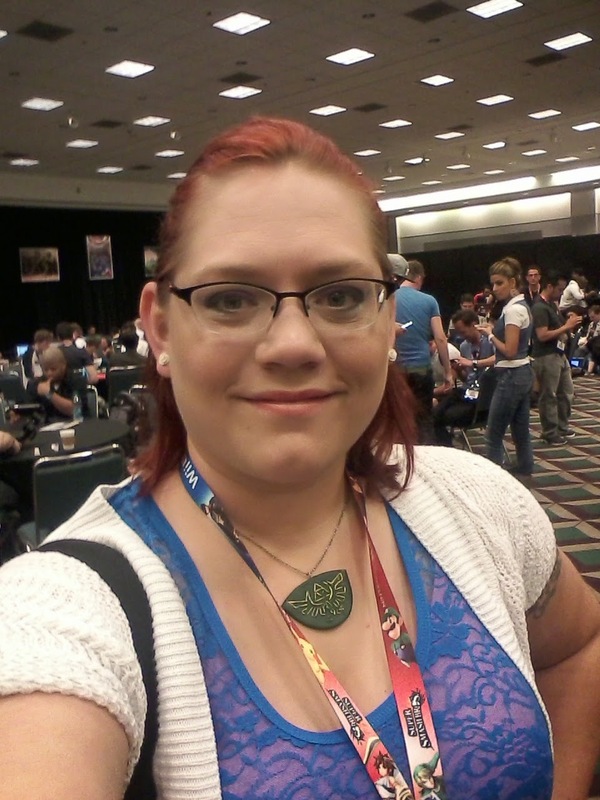 So, this past week Mike and I went out to Los Angeles to check out E3 (Electronics Entertainment Expo) where the gaming industry debuts new games, consoles, peripherals, etc. There were many standouts from this year’s E3, and you can read about my personal favorites here. For now, I’d just like to write about the games I actually had hands-on time with. Without further ado, here we go! If you liked ‘Left 4 Dead’ and its DLC letting you play as the zombie, you’ll love this game. It pits 4 hunters against one giant boss monster, and all 5 are playable. This makes fighting the boss a bit tougher, as it’s controlled with human intelligence. As far as design is concerned, I have no real gripes about characters or the arena that you’re placed into at all. There are enough corners and hiding places to keep players on their toes without getting boring, and random encounters with NPCs are strewn about without getting to be too much of a distraction from actually finding the monster. Characters are well thought out, and their abilities are well constructed. Controls are intuitive if you’ve ever played an FPS (first person shooter) before, and camera control is very smooth and intuitive as well. The graphics are superb, with realistic lighting and texture effects. Overall, this was by far the game I’m most excited to play. You will, however, need teamwork as the hunters to take down the boss. There is no way to win the game without it. I did not get a hands on with this game, however, I was shown Alpha footage that really got me pumped to play the game. I’ve always loved all the Civilization games, and this one looks like an homage to ‘Alpha Centauri’. More to come on this game, but just know it’s Civilization with future tech… IN SPACE! Borderlands: The Pre-Sequel – Borderlands with low gravity! If you’ve played ‘Borderlands’ 1 and 2, then you’ll like this little ditty that runs in between the two. (Thus, PRE and SEQUEL.) Its graphics are the same, the controls are the same, and the objectives are generally the same, but you get the addition of cool new moves AND low gravity jumps, which are insanely awesome. I did have a little bit of an issue with finding oxygen in between giant atmospheric bubbles. Once your tank runs out of oxygen, you do get some time to find some, but your screen starts blacking out, which in turn makes it difficult to find said oxygen. Regardless, this was really fun to play, but there’s not all that much difference between it and the previous two games. If you’re expecting a whole new experience, you’ll be disappointed. But if you’re looking to have fun with new content, you’ll have a good time with this game. Don’t get me wrong, I like ‘Skylanders’, and the whole concept of being able to play with your toys in game. As a parent, though, I hate the fact that you have to keep buying toys and portal systems to keep up with the latest in the ‘Skylanders’ Saga. It’s like fueling a Pokemon addiction, except making it more expensive. It was fine with the original 151 Pokemon, but now there’s like, a thousand. That adds up. 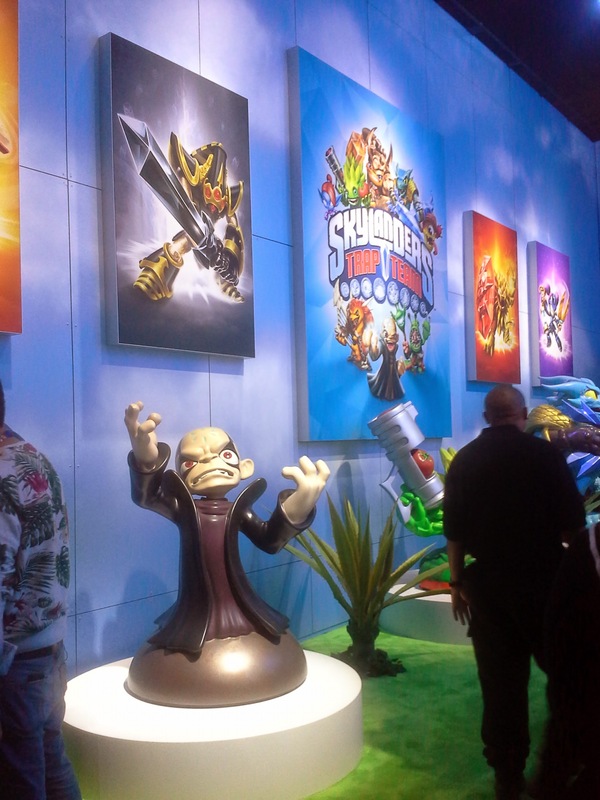 Anyhow, the graphics and gameplay were the same as any Skylanders game, except you now get to trap enemies, and then send them back into the game from whence they came to fight on your side. Pretty cool, my son’s going to want it, and my wallet will most likely feel emptier. So, Wargaming gave me a nice little behind the scenes, and they’ve got a lot coming down through the pipes. World of Tanks on the XBox is getting a whole lot of new tanks, including a whole bunch of soviet tanks that look really awesome. There’s also a special World Cup addon that goes with WoT, that pits red and blue tanks against each other with a giant soccer ball. But, their newest edition to the Wargaming collection is ‘World of Warships’. Similar to ‘World of Planes’ and ‘World of Tanks’, ‘World of Warships’ is an online battle game that pits military ships against each other. Each one is designed in extensive detail. You will have to pay attention to both the Macro and Micro scale environments if you want to be successful. Positioning is key, as some of your guns will not be able to fire, depending on the angle of your ship and your target. Torpedo launches do significant damage, and also must be positioned correctly to do optimal damage. The arenas are nicely laid out, with plenty of area to shoot at your enemies, as well as dodge and hide from incoming assault. If you like battle arenas, and you’re persnickety about detail, you’ll love what Wargaming has to offer you, especially with ‘World of Warships’. There are plenty of Fantasy games out there for gamers to play. It’s one of the most featured genres in gaming aside from Space. One niche that hasn’t gotten a lot of attention is Steampunk, which uses classical Victorian style combined with steam tech in future technologies. One game that has nailed what Steampunk is all about is ‘Black Gold Online’. BGO is an MMO that pits Steampunk versus Fantasy, in a fight over land, resources, environment, and moral code. This title comes from Snail, which also thought up ‘Age of Wushu’. Control is a bit more micromanaged than other MMOs such as ‘World of Warcraft’, in the sense that you need to keep your line of sight AS WELL AS aim for most of your character’s abilities. There is also battle while you’re mounted, which gives you a whole other set of abilities to use as well. However, the UI is uncomplicated, and won’t get in your way as you try to fight the other faction for what is rightfully yours. If you’ve been waiting for a decent Steampunk game, then ‘Black Gold Online’ is for you. And you won’t have to wait very long to play, either, because the open beta begins on June 20th. This was by far the most promoted game at E3. With the gameplay that I’ve seen, it looks absolutely fun. Unfortunately, I wasn’t going to wait two hours in line to play it, so I didn’t get a hands on, but it’s worth mentioning. Think of the old Adam West Batman, combined with ‘Left 4 Dead’ and ‘Jet Set Radio Future’. That’s Sunset Overdrive. The premise is pretty simple: there’s an energy drink that’s very popular, but also very contaminated. It’s turning everyone into mutants! You’re left to fight the mutant beasts while doing insane parkour moves. When you attack, you’ll see “BOOM” or “PSHHHT” or “BAM” light up in front of you. It’s definitely not your typical zombie-type game. There’s way more humor injected into it. It’s very bright and colorful, unlike the darkness that surrounds most games of this style. A fun and enjoyable game where you get to shoot things and blow stuff up? I can get behind that. 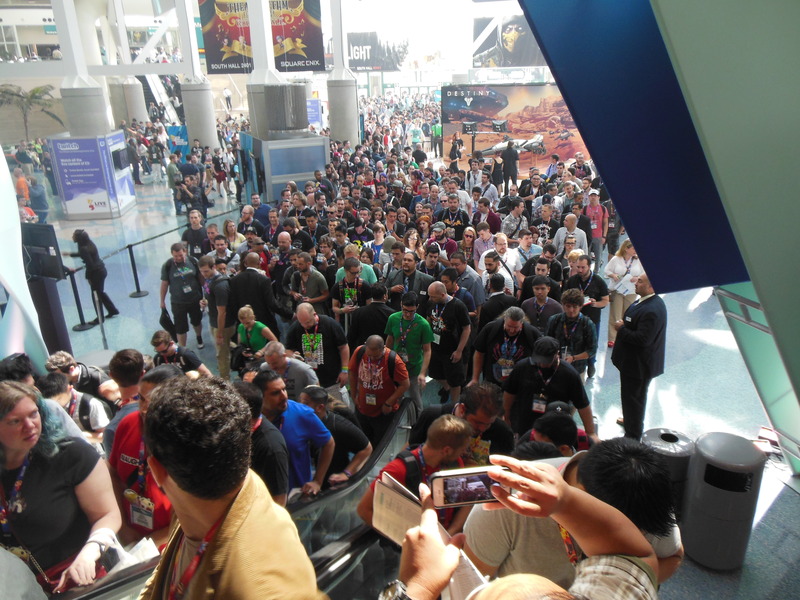 In addition to E3 itself, there were also after parties and events lined up for after the show. I attended two. While not as “gamer-esque” as last year’s Wargaming party (see here), it was very classy, and was seemingly enjoyed by all who attended. 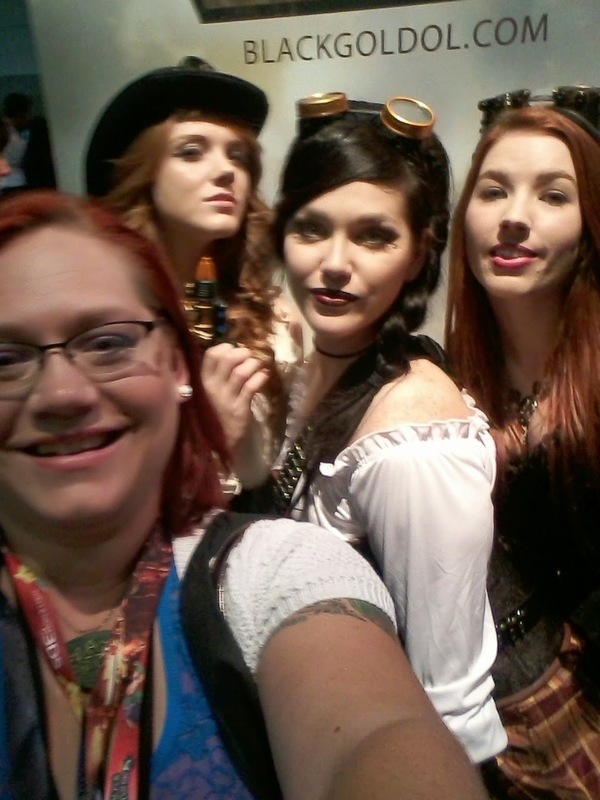 I met some really cool people, and had a lot of fun. 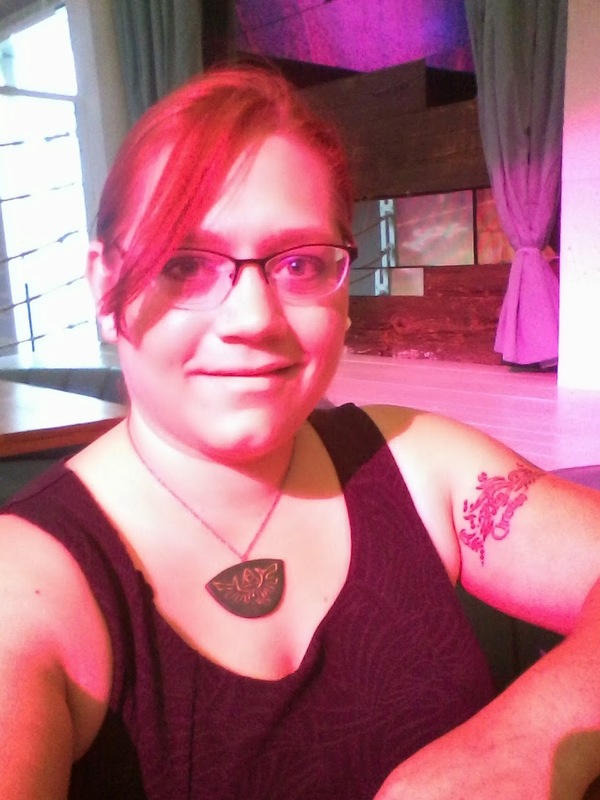 I was not really impressed with the venue, as I don’t think it really catered to its demographic, but nonetheless it turned out to be a nice night. I was able to attain some backstage VIP passes and concert tickets to see Video Games Live, who I’ve wanted to see for a long time. I was not let down. The show was absolutely astonishing, with little segue videos by Danebo, amazing performances by Critical Hit and OC Music, as well as appearances from all kinds of gaming music elite. 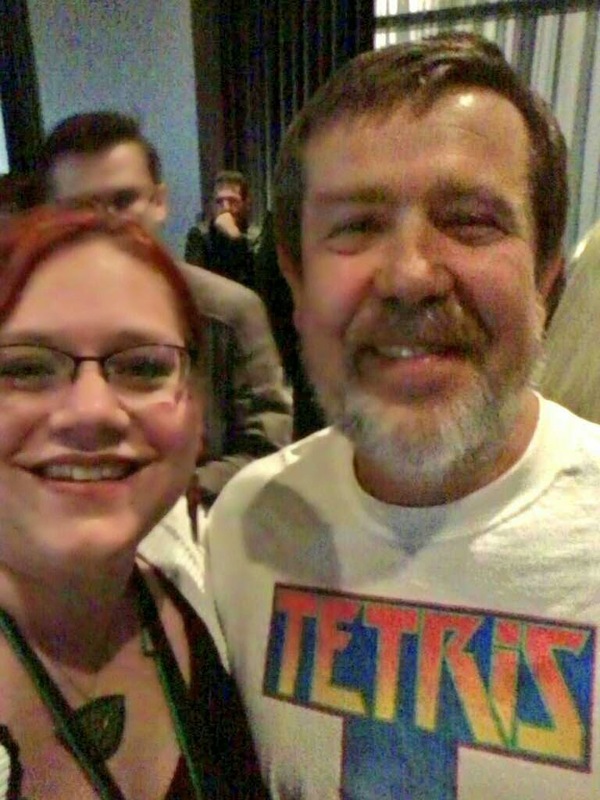 My favorite appearance, though, was that of Alexey Pajitnov, the creator of Tetris, because of the 30 year anniversary of Tetris this year. I was very excited to meet him. 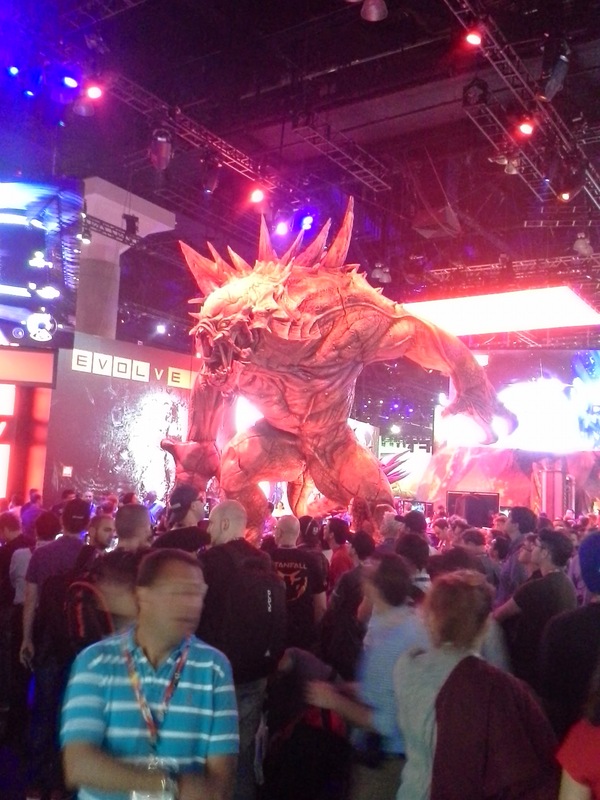 Overall, E3 was definitely an experience. I have a few peripherals that I received that I will also be reviewing shortly. Hopefully, we’ll get to go again next year.